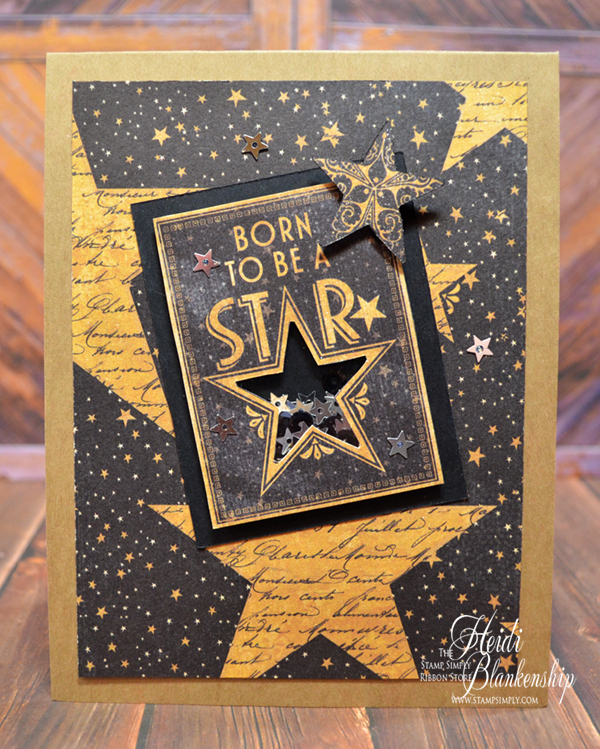 The Stamp Simply Ribbon Store - Born to be a STAR Shaker Card - Quick & Easy! Hello everyone and happy Friday! I can't believe we are already almost half way through January. I know Spring is still way off but I am wishing for warmer weather lol. Yesterday here in Minnesota it was in the 40's and as I type up this blog post it is -30 (yes that is a minus sign!) with the windchill! Oh it's so darn cold lol. 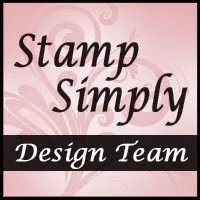 Today, is my day to post for The Stamp Simply Ribbon Store but before I get to my post I want to apologize for not posting the winner for the Seasons Giving blog hop. I have had some personal things going on and I honestly just forgot. 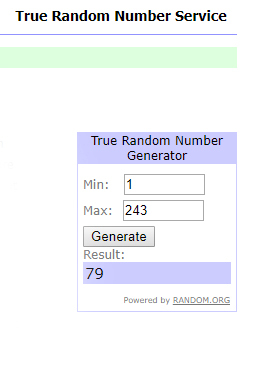 But stop back a little later today and I will be posting the winner for the $30 Simon Says Stamp Gift Card. 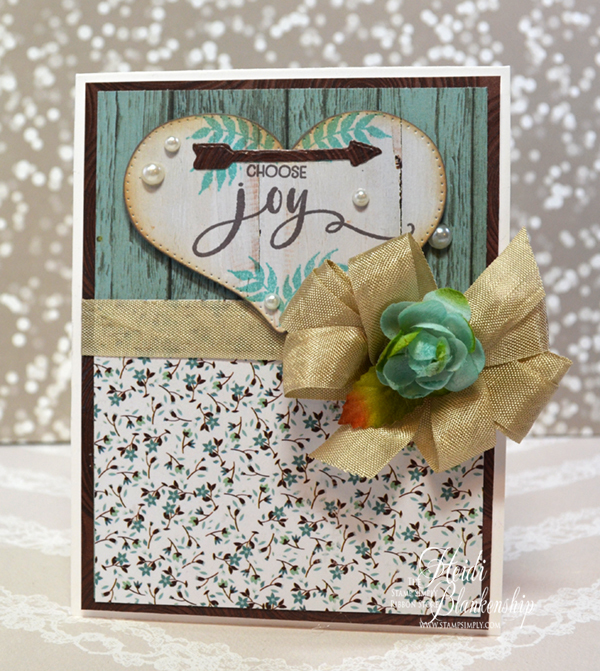 For today's card I used some of the fun pattern papers from the Graphic 45 - Vintage Hollywood collection. I used one of the cut outs to create a quick and easy shaker card. This card really came together in less then 10 minutes. 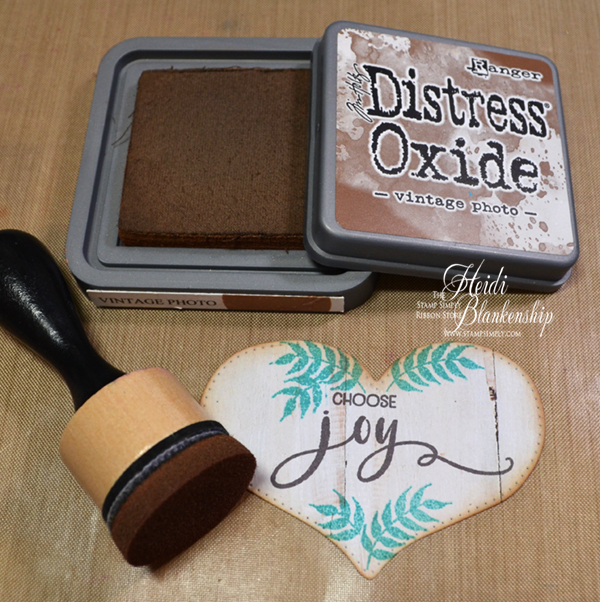 I love shaker card but sometimes I just don't have the time to create them. So I started looking at the cut outs in the paper collection and a few other collections. 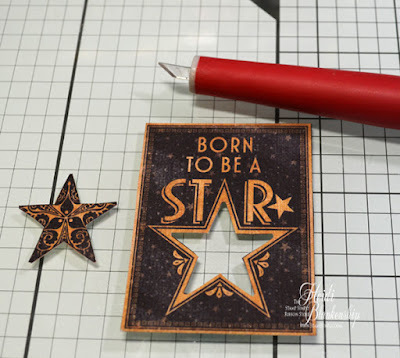 I think you would be surprised at how many of the cut out have areas that can be cut out with a craft knife to create quick and easy shaker cards. To start I used a craft knife to fussy cut the center of the star. If you are careful enough when cutting out pieces you can save them to use as embellishments on your card. Now to create the shaker all I had to do was add a piece of Acetate to the back of the cut out and then add Foam Tape around the outer edges. 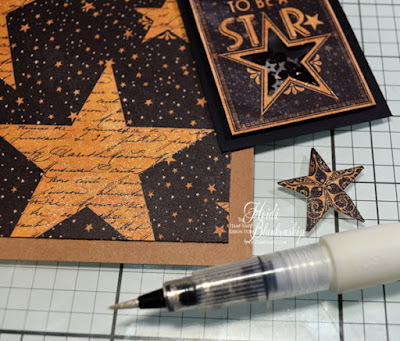 Fill with sequins and add cardstock to the back. I cut a piece of black cardstock that was a litter larger to give the cut out a background layer. Before I assembled the card I wanted to add a little sparkle. 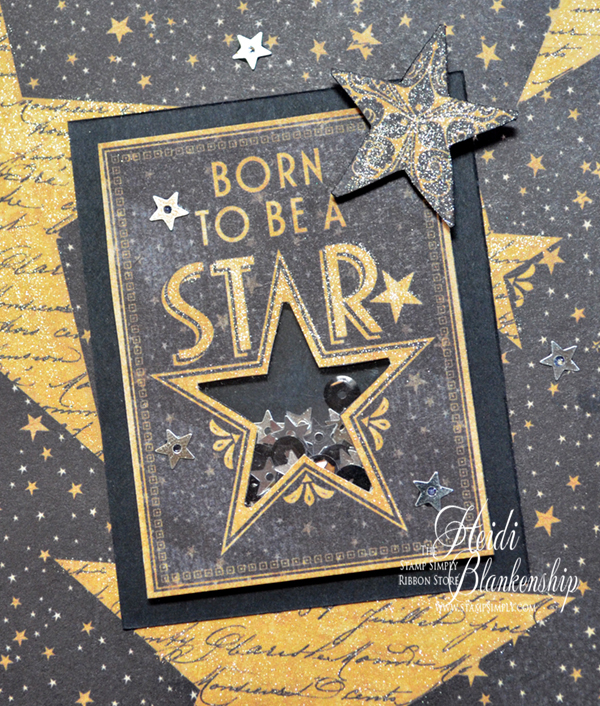 I used the Zig Wink of Stella Clear Glitter Brush Pen to add some sparkle to the large stars on the background paper, the smaller cut out star and the word star on the shaker. Here is a close up of the shaker. I filled it with 5mm Black Sequins and Tiny Silver Star Sequins. I added the cut out star to the top right corner and put a piece of foam tape behind it to pop it up a bit. 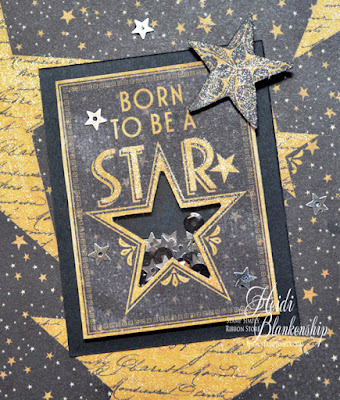 I also added a few of the tiny star sequins to the outside of the card. 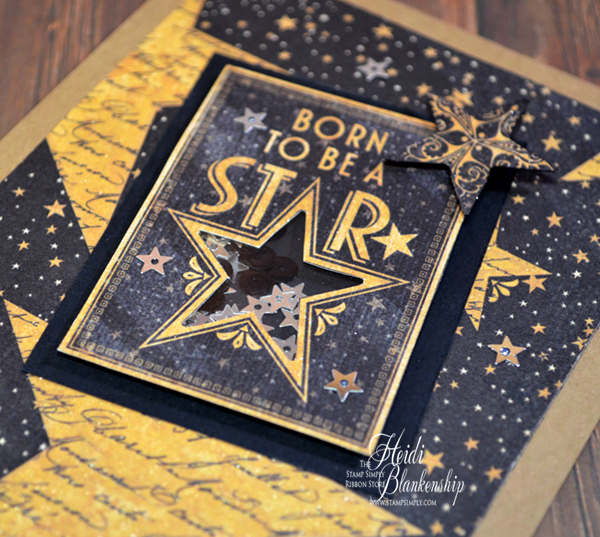 I used kraft paper to create a A2 top folding card base. The next time you want to create a shaker card I encourage you to look through the cut outs in your paper collections and see what areas could be cut out to create a little window for a shaker card. Thanks so much for stopping by today and I hope you enjoyed my card share! Hello everyone and happy Friday! Did you all have a Happy New Year? Ours was pretty low key. My husband ended up getting food poisoning a couple days before and he still wasn't feeling the best so we just stayed home. Our youngest son had his girlfriend Lydia over so we just hung out watched some tv and had some snacks. Like I said pretty low key--but that's ok. I'm looking forward to 2018 and hopefully it's better than 2017. 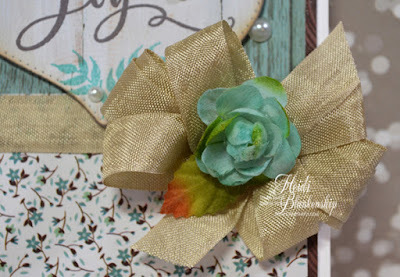 Thank you so much to all of my new subscribers from the Seasons Giving Blog Hop! If you haven't left a comment on that post there is still time and I am giving away a $30 gift certificate to Simon Says Stamp so I encourage you to check that out. You can click HERE to see the post. I asked what everyone would like to see on my blog in 2018 and watercolor came in number one! Backgrounds, tutorials, cards and jewelry were all in the top running too. 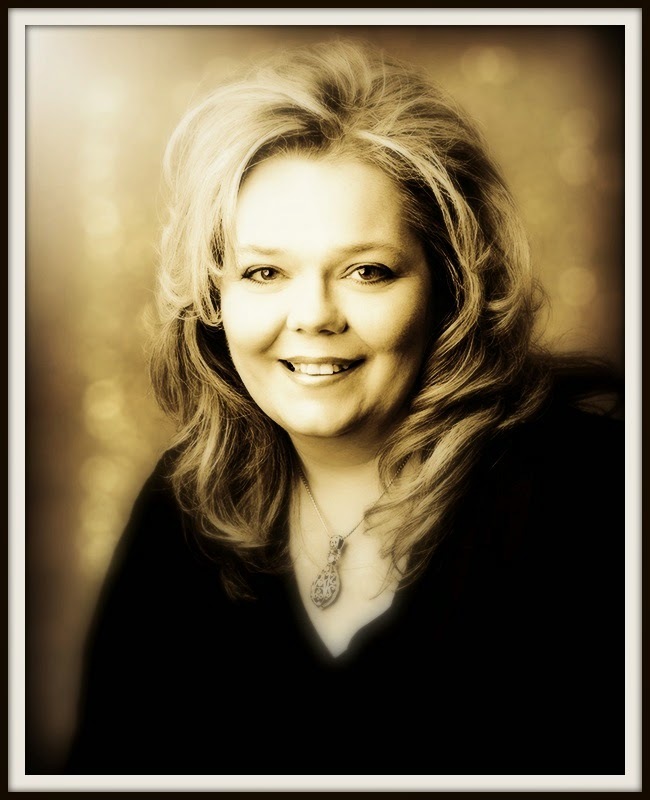 So I will be working on some upcoming projects with watercolor to share with all of you. 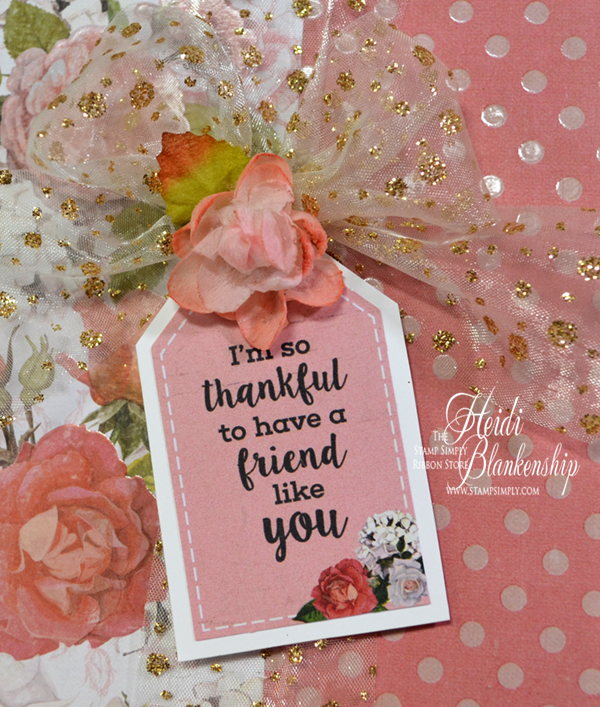 If you are new to my blog I post every Friday for The Stamp Simply Ribbon Store. 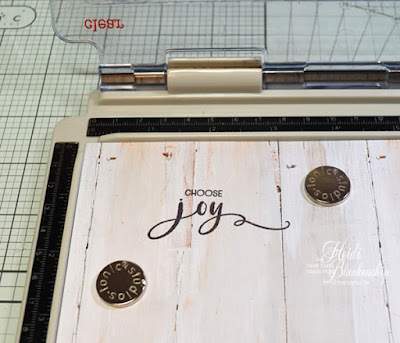 For the most part I post cards and they range from CAS (Clean And Simple) to tutorials with watercolor or ink blending backgrounds. For today's card I went with CAS. This card could be used as a thinking of you card but also for Valentine's. 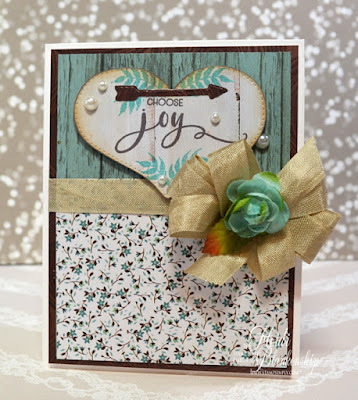 The paper collection is from Kaisercraft - Cottage Rose. I layered a couple pieces of the pattern paper and then added a bow down the center with May Arts Sheer with Gold Glitter ribbon. This is some of my favorite ribbon. 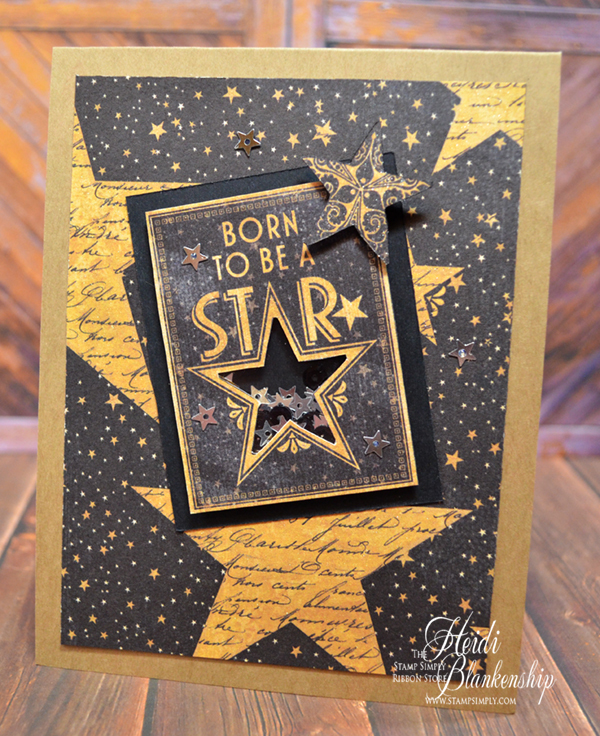 It's sheer so you can still see the beautiful papers but adds just enough sparkle with the glitter. 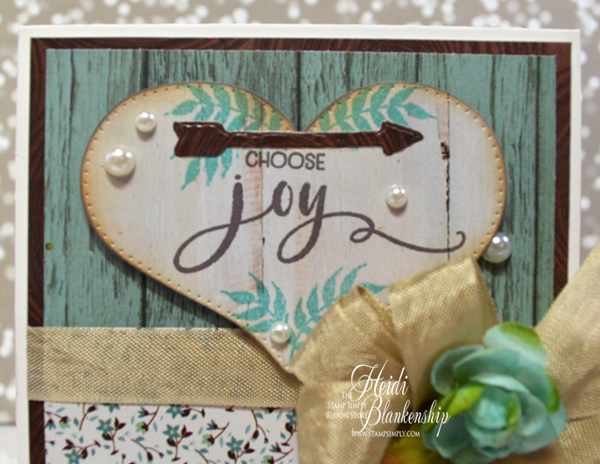 The tag is a cut out from the same paper collection and I thought it had such a sweet sentiment. I added a piece of white cardstock behind the tag and trimmed it to leave a nice crisp white edge around the tag. I added some Foam Tape to the back of the tag and also a small touch of hot glue to adhere it to the card front and placed it right under the bow. 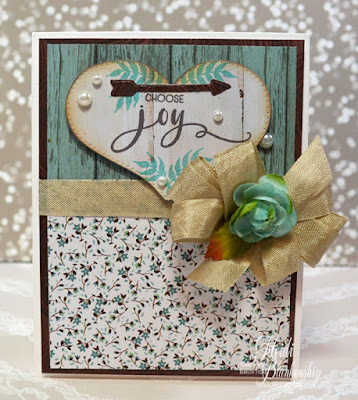 To finish off the tag I added a Petaloo Botanica Collection Pink Minis flower to the top of the tag. 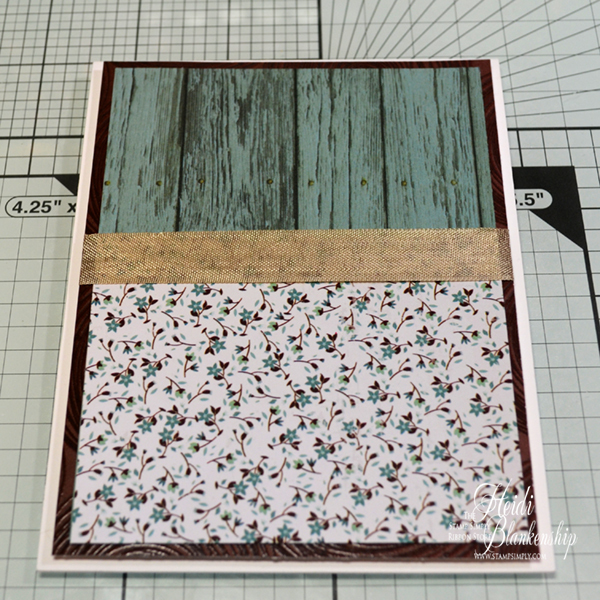 I added more foam tape to the card front and then placed that on a white A2 top folding card base. The paper collection is filled with cut outs so you would be able to create several CAS cards.